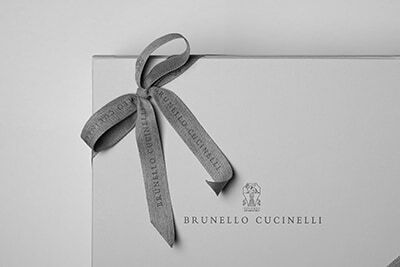 The excellence of Brunello Cucinelli materials enriches the new shopper. A polished and extremely soft nappa leather texture enhances the bag’s lightweight and deconstructed design. The zipper closure is combined with two side drawstrings that tighten or loosen the proportions according to the desired effect. 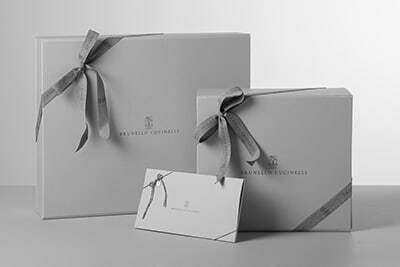 An embellishment on the sides introduces one of the recurring themes of the season: a white strip of calfskin is embroidered with fine rows of shiny monili in two finishes. The adjustable and removable shoulder-strap completes the accessory. Soft & Glossy nappa is a very supple and thin new leather from France. The extremely fine natural grain is enriched with a slight polishing. A water-resistant fabric lining helps to protect the leather from the slightest contact with water.